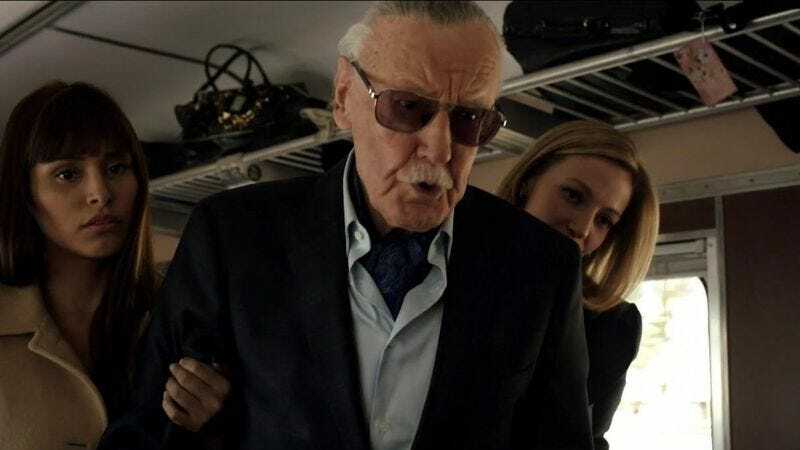 Stan Lee in Marvel's Agents Of S.H.I.E.L.D. There’s been a lot of Monday-morning quarterbacking over just why the new Fantastic Four movie tanked so hard. (Or “Tranked” so hard, as director Josh Trank probably hopes his friends don’t say to him at dinner parties for the rest of his life.) Sure, we can all agree it’s pretty bad, with even the film’s director acknowledging that the movie blew. But was it the terrible script? The sodden pacing? The dour tone? The lame action scenes? Luckily, the man who created the iconic superheroes knows exactly what was wrong with the movie: He wasn’t in it. In an interview with Larry King, former Marvel head honcho Stan Lee reveals that, for reasons passing understanding, the producers of the newest Fantastic Four movie bucked tradition (or “quality assurance,” depending on your point of view) by not asking the legendary comics creator to do his requisite cameo. “Because I didn’t have a cameo in it, and they didn’t discuss the story with me,” Lee replied, when asked what made the movie such a failure. He also agreed with King that it had perhaps been remade too quickly, implying the lingering stench of the previous Fantastic Four movies still troubled the American popular consciousness. The full interview isn’t set to be released until later this week, so for now, we’ll have to visualize Lee’s ideas about the other causes of the film’s failure, much as 20th Century Fox has hilariously decided to imagine people will want to see a sequel, and thus far are keeping it penciled in for a June 9, 2017 release.